- Butter should be very soft. Mix butter until foamy. - Sieve powdered sugar, add to butter. - Break chocolate into smaller pieces, melt in double boiler. - Combine butter-sugar mix with chocolate and rum. - Let sit in fridge for 1 hour. - Dip hands in cold water and form small balls out of the chocolate batter. 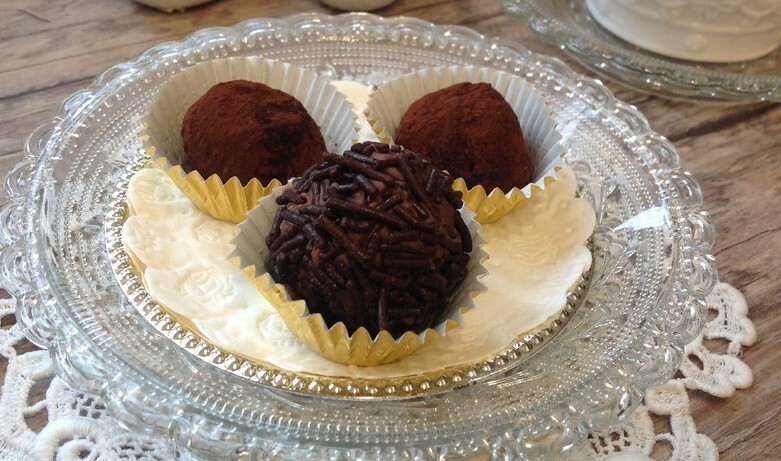 - Roll the balls in cocoa powder or in chocolate sprinkles. If you like you can use also unsweetened grated coconut. Place on a plate. - Let sit in the fridge for 1 hour. - Place each ball into matching paper cups (the ones you use for pralines).